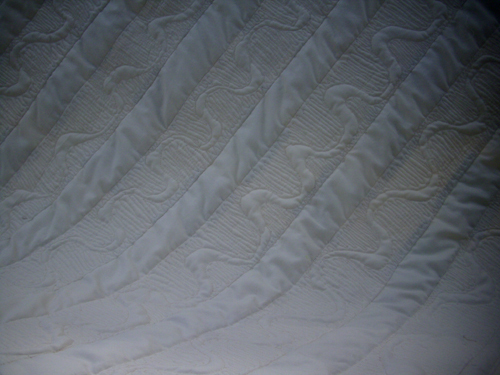 Going to Nashville, Tenn. tomorrow does anyone know any good quilt shops around there ? One UFO Done - A Whole Bunch More to Go! Working my way through a pile of UFO's. 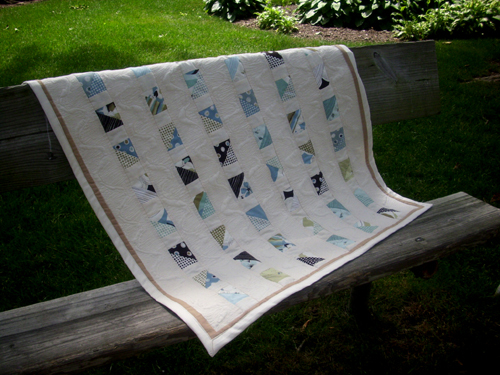 This one was made with a Benartex charm pack that was gifted to me by a QB member and paired with unbleached muslin. i thought the camel colored border gave the eye a place to focus and defined the space. 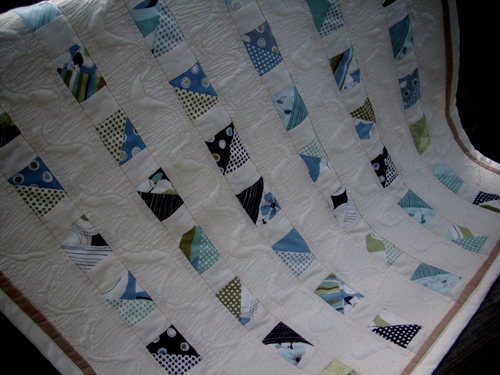 I really like the quilting on this one. What do you think?